The tutu is the quintessential mark of classical ballet. Whether it’s the original romantic, pancake, or the Balanchine, tutus are part of what brings the ballerina’s character to life. 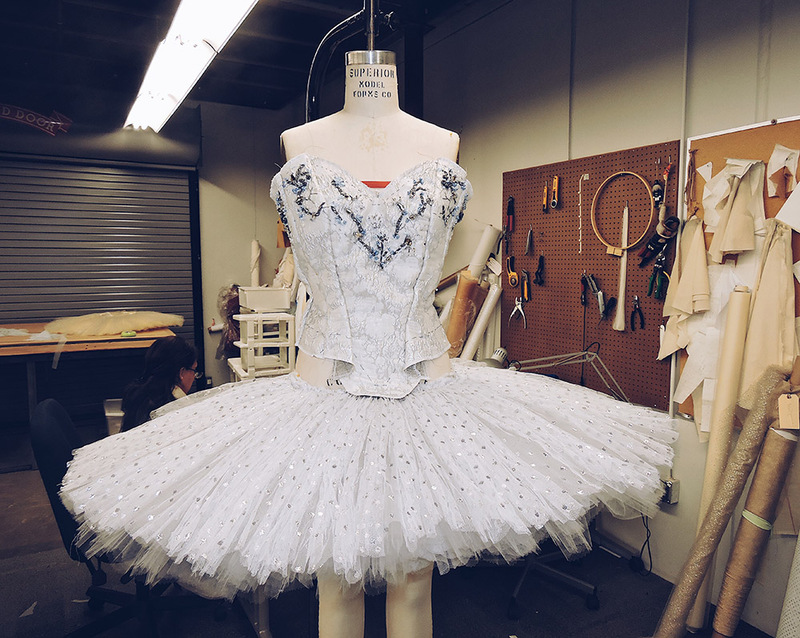 Ballet Arizona’s upcoming production of Cinderella will feature 20 brand new tutus, so we decided to get a behind-the-scenes look at exactly what goes into making one. Under the direction of Costume Director, Leonor Texidor, each part of the 20 tutus are handmade – from the pleating of the tulle to the thousands of beads that embellish the bodice. So how long does it take to make just one tutu? Texidor says three weeks, with seamstress’ working 5 days a week at 8 hours each day. Week 1: Seamstresses will begin to put the layers of the tutu’s skirt, known as the plate, together. There are between 11 to 13 layers per plate, with each layer pleated by hand and having multiple panels of fabric. For the structure of the plate, the layers start at 1.5 inches and grow from there. The tutu uses crinoline, the stiffest fabric, at the bottom and also at the 6th layer to provide structure. From there, each layer has softer more decorative tulle. A wire hoop is also strung through the middle layers to help the plate keep its shape. As the seamstresses build each panel and each layer, they are stitched together so the plate moves as one as the ballerina dances. Week 2: The plate, the basque, and the bodice are sewn together to create the finished tutu. The basque is the smooth section made from the same fabric as the bodice, which extends from the bottom of the bodice to the top of the hip bone. The bodice is made from a decorative fabric, which Texidor has sourced everywhere from Los Angeles to Japan. 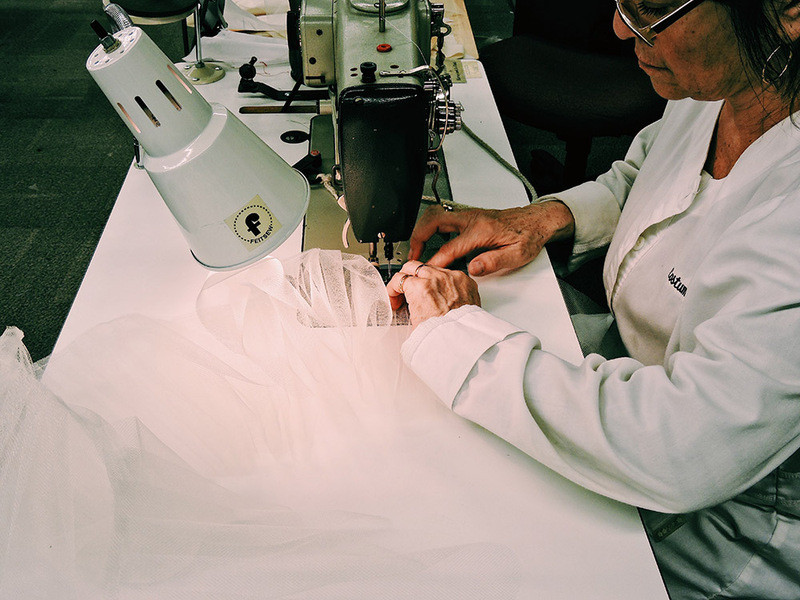 It is made up of multiple panels, that are cut to match the dancer’s exact measurements, and then backed with a calico or canvas material to help extend the life of the tutu. Once the panels are sewn together, a track of hooks and bars are fastened together at the back. Week 3: It will take seamstresses an entire week to embellish the tutu. 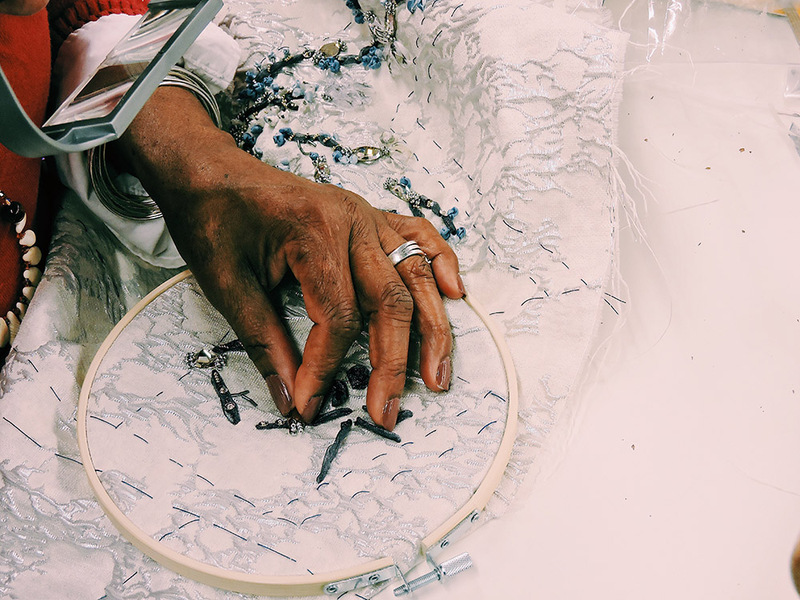 They must be absolutely meticulous because they sew thousands of Bugle beads, jewels, and sequins onto the bodice through the top layer of the plate. For Ballet Arizona’s production, Texidor will be creating 10 “Star Fairy” tutus that have 4,000 sequins and crystals beads EACH, and 4 “Season Fairy” tutus that have 4,000 Swarovski jewel beads EACH! To see the finished tutu’s click here to check out Ballet Arizona’s Cinderella, February 15th – 18th at Symphony Hall!